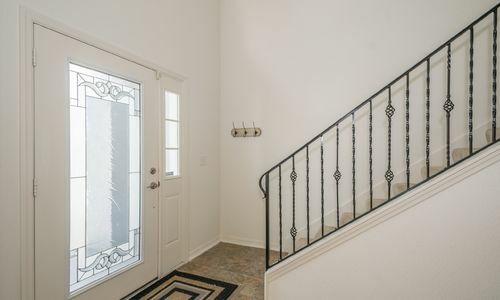 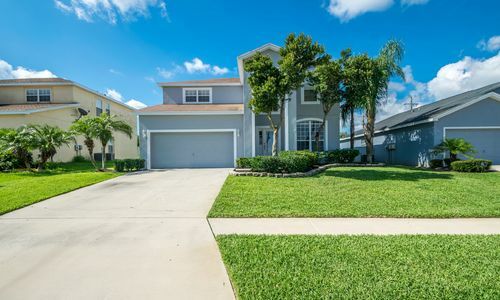 SPACIOUS TWO STORY HOME – 5 FULL BEDROOMS – LOCATED IN GATED MANDOLIN…Well-maintained gated home offering 2,470 sqft of living space, 5 bedrooms, 3 bathrooms and a quiet cul-de-sac location. 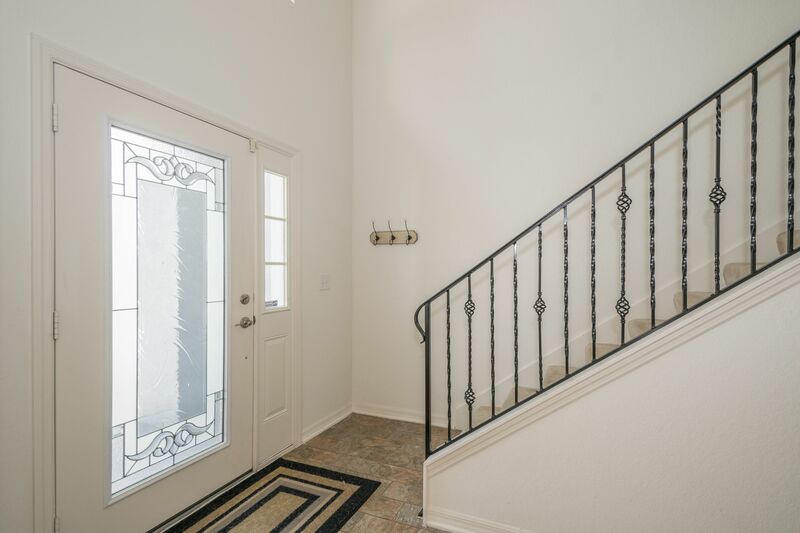 Upon entry to this home will notice the large two story foyer along with the natural lighting from the elevated windows. 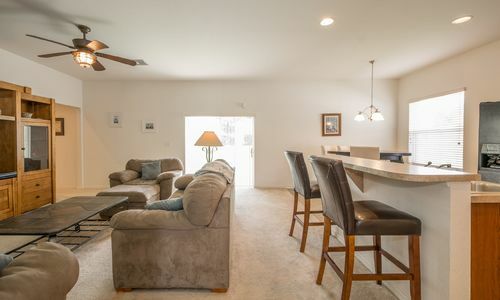 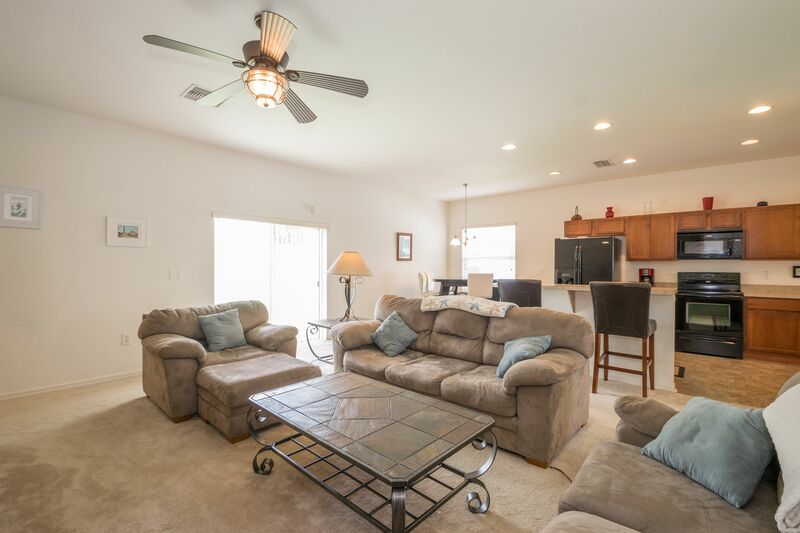 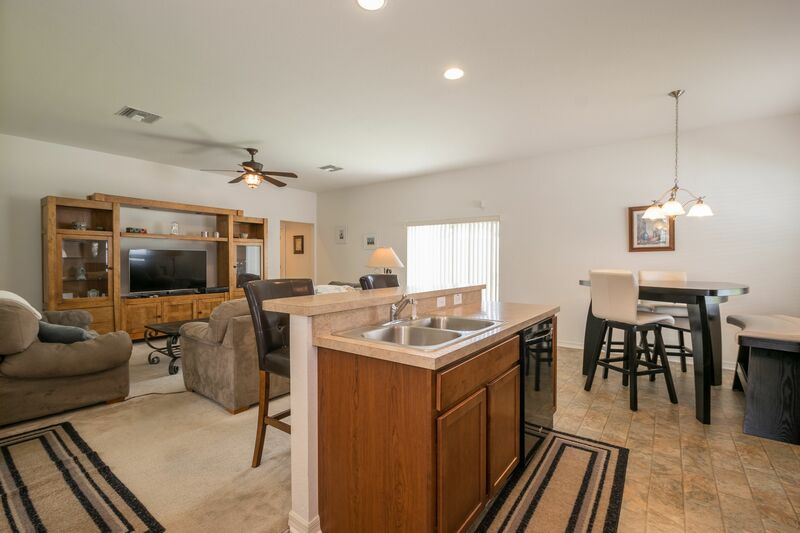 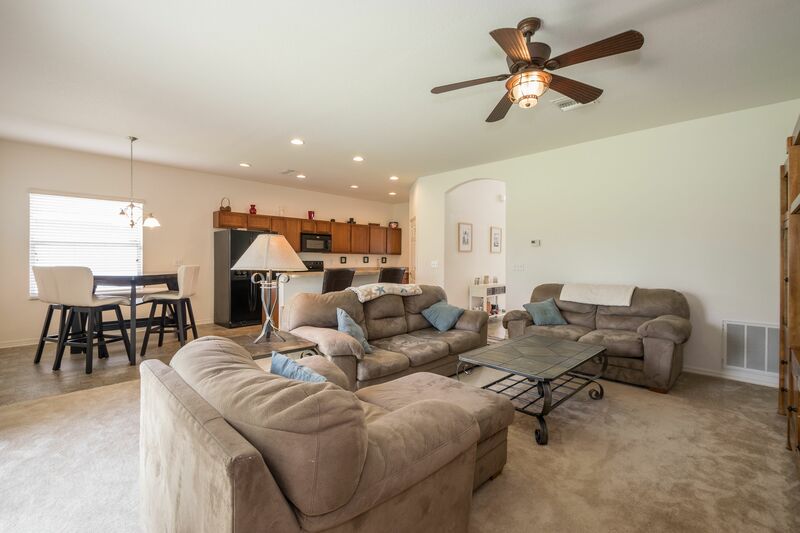 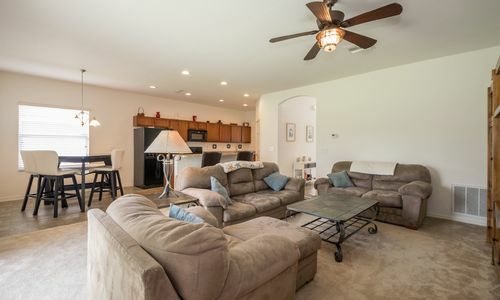 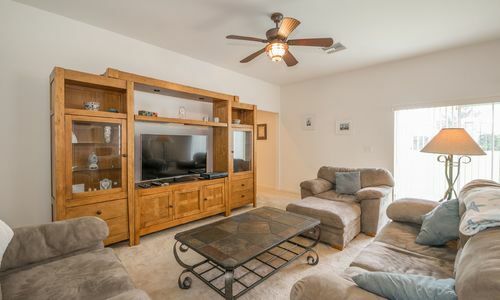 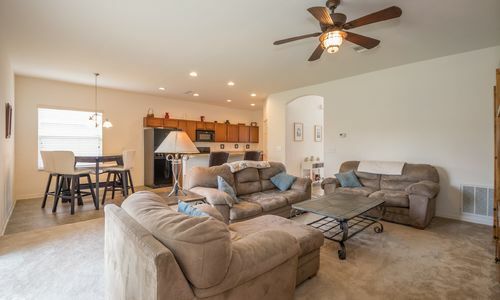 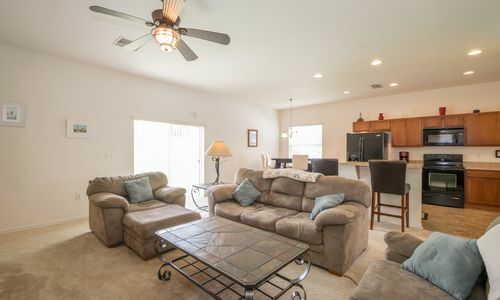 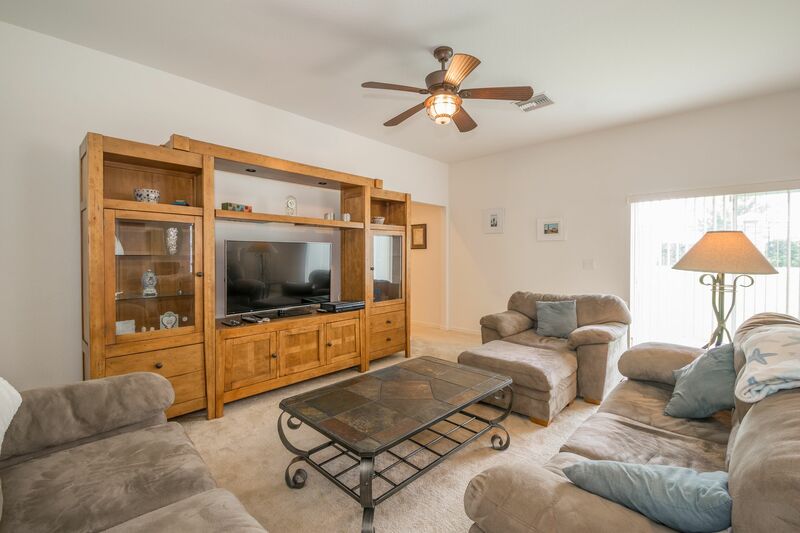 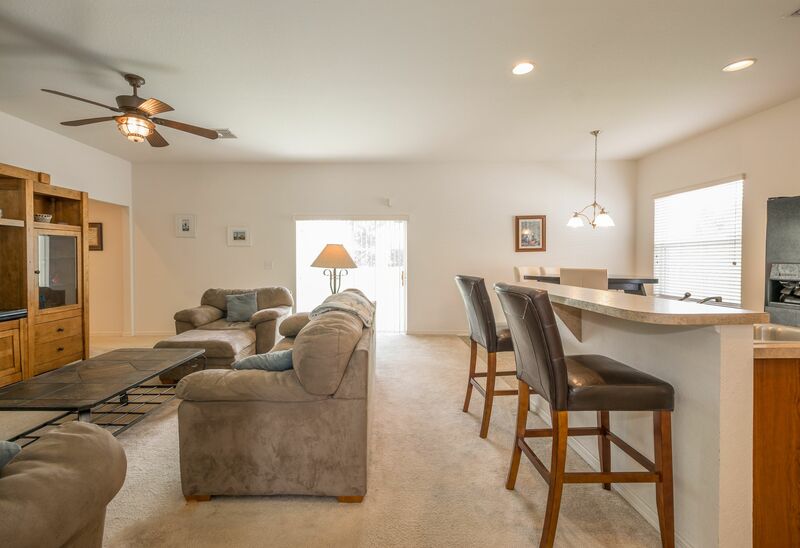 Comfortable family room provides plenty of space for relaxing and unwinding along with sliders leading to the backyard and an upgraded Hunter ceiling fan with remote. 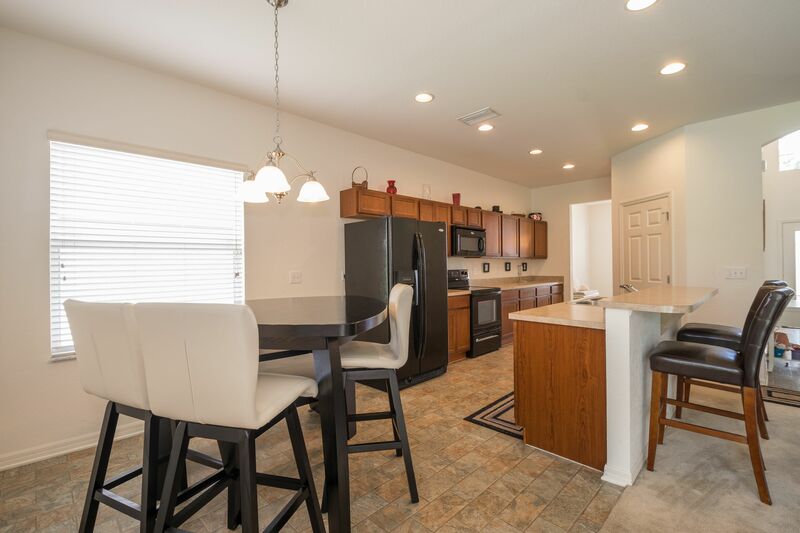 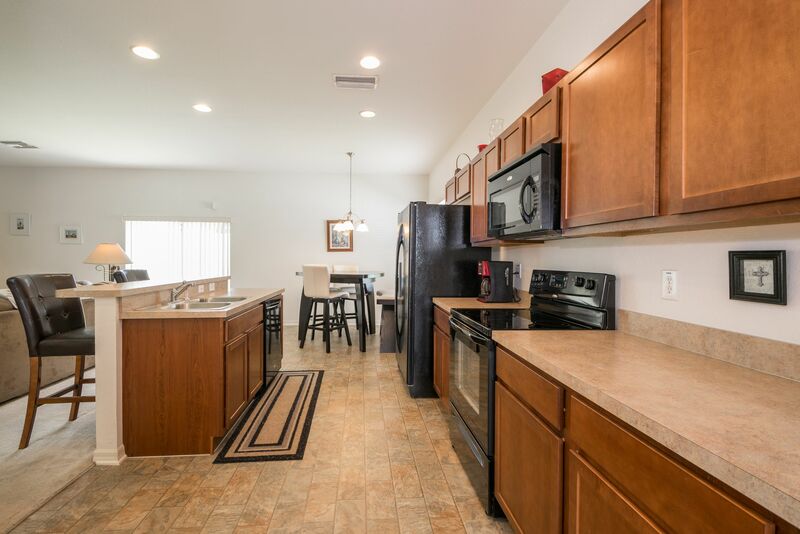 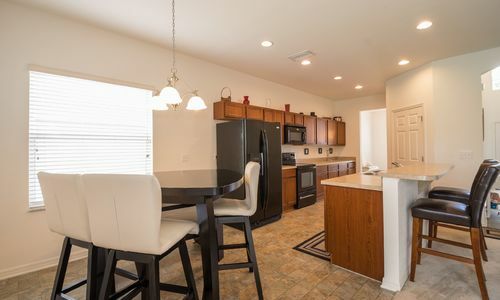 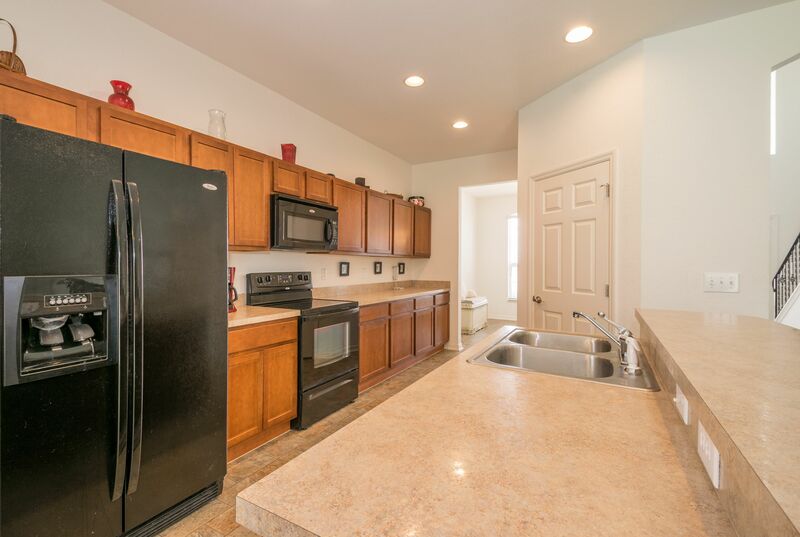 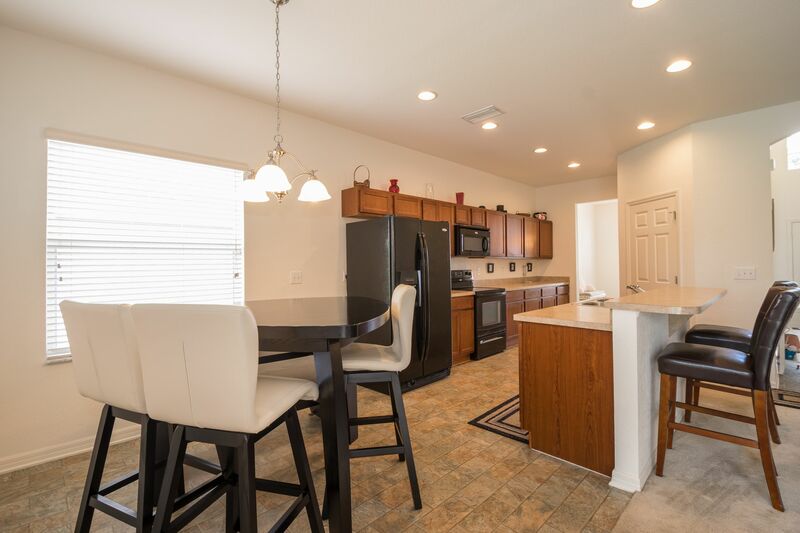 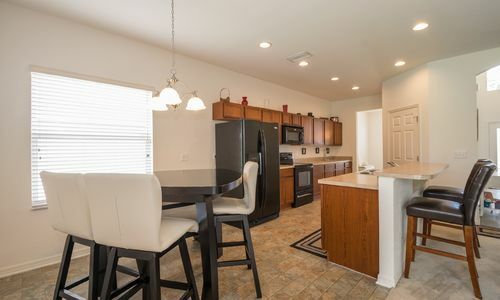 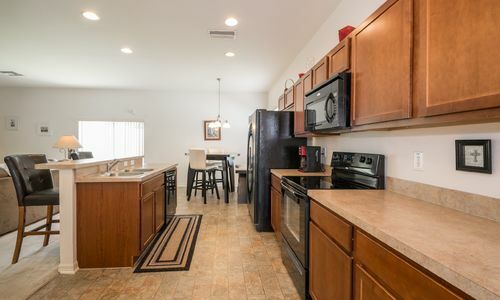 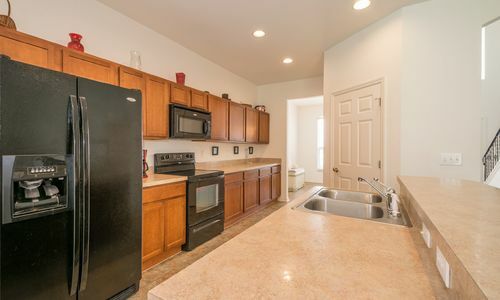 Kitchen opens to the family room with a full Whirlpool appliance package, lots of cabinet and counter space, breakfast bar, dinette area and a large walk-in pantry. 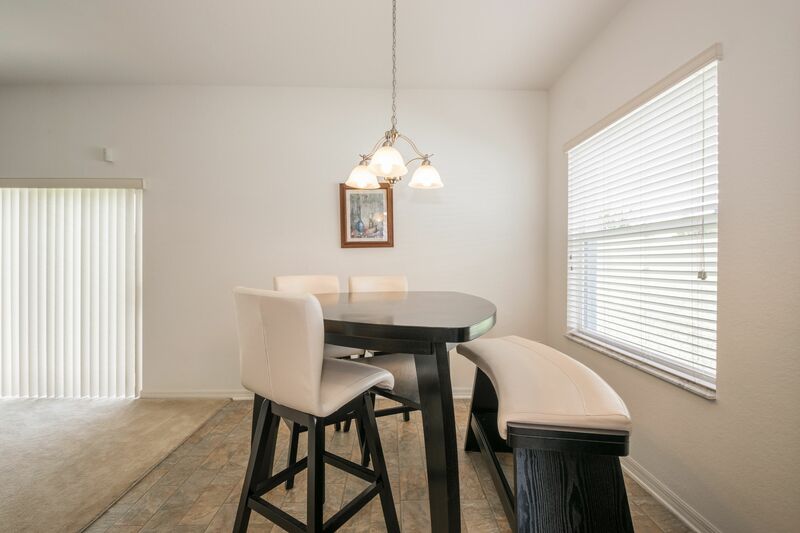 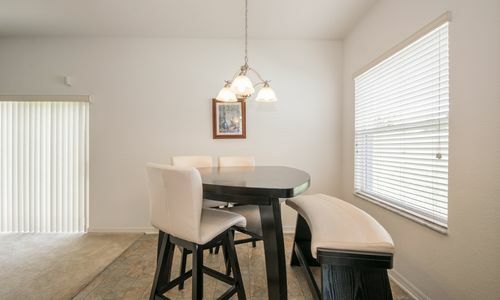 Formal dining room is perfect for entertaining and holidays. 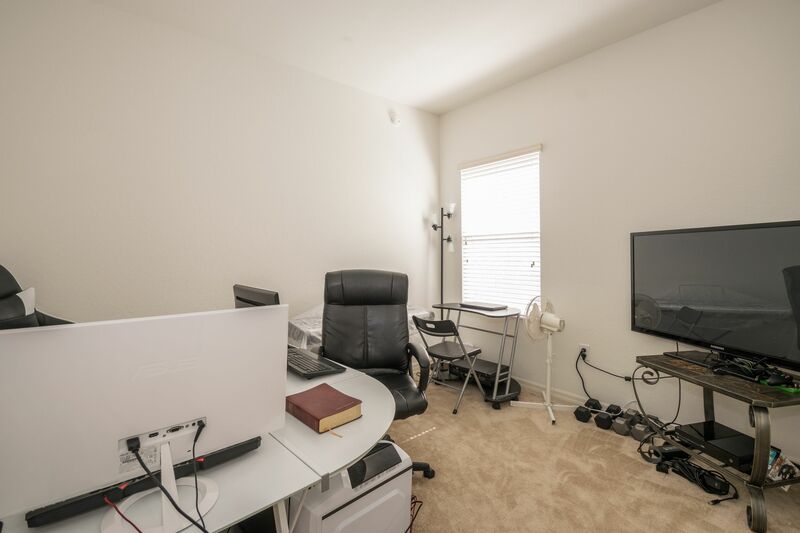 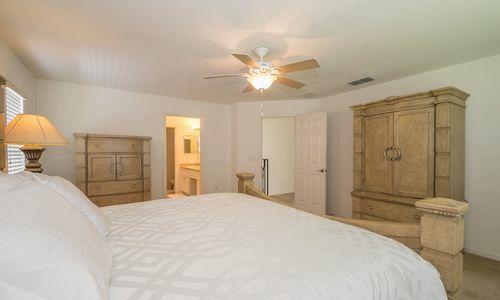 Downstairs guest bedroom is perfect for visiting in-laws, teen suite or office space. 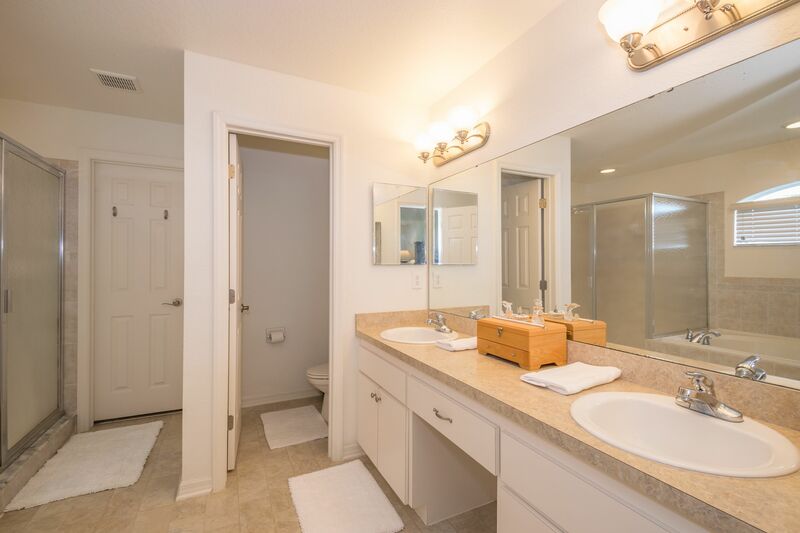 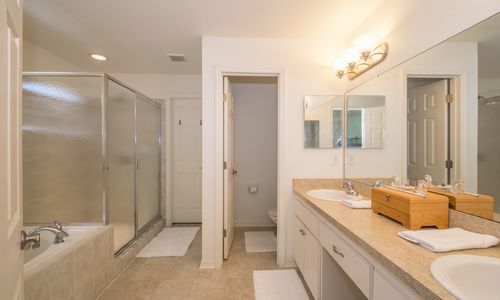 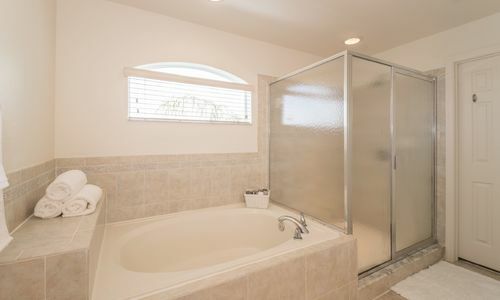 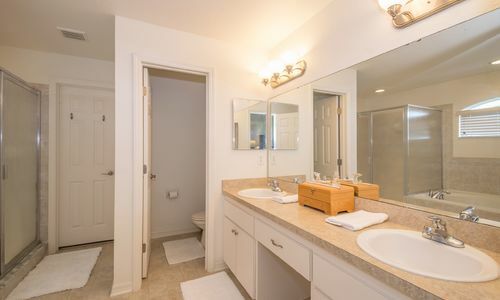 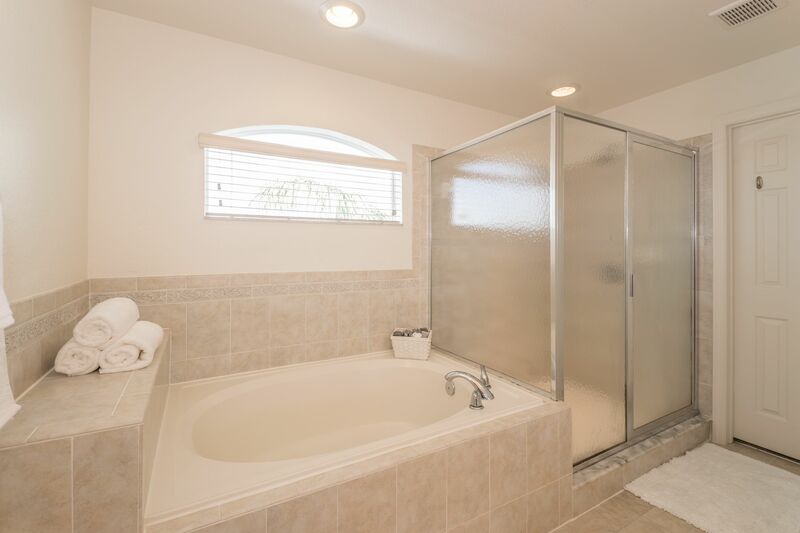 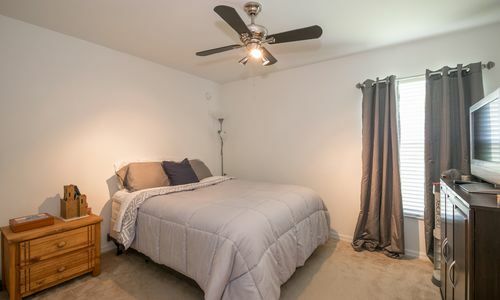 Large master bedroom located upstairs with en-suite master bathroom including tiled garden tub, walk-in shower, dual sink vanity and a generously sized master closet. 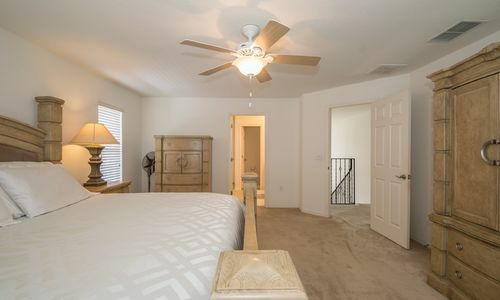 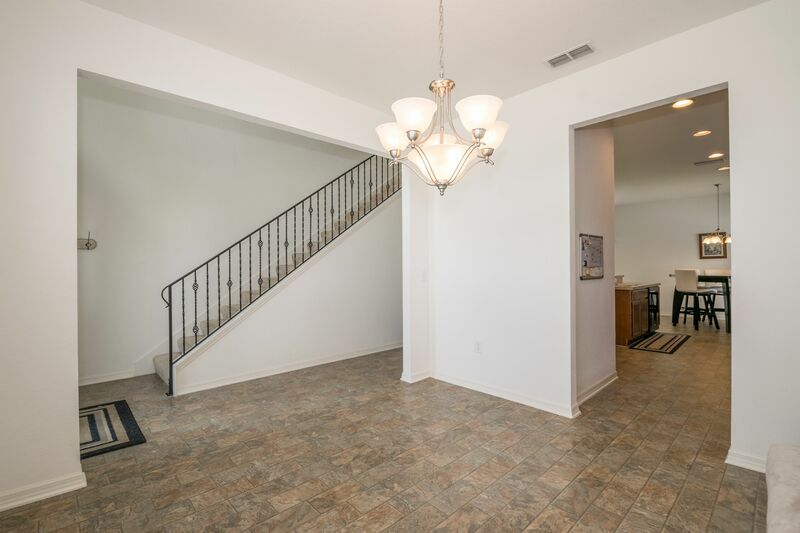 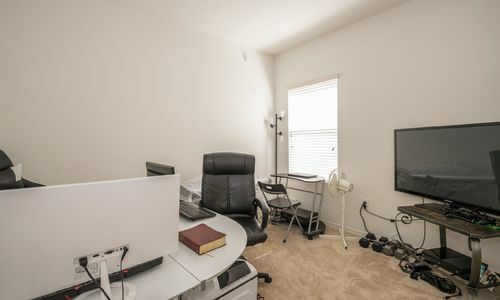 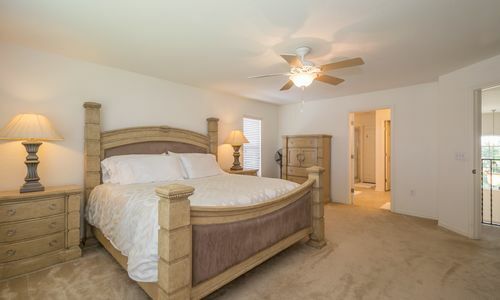 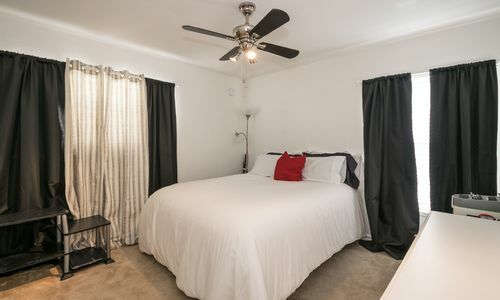 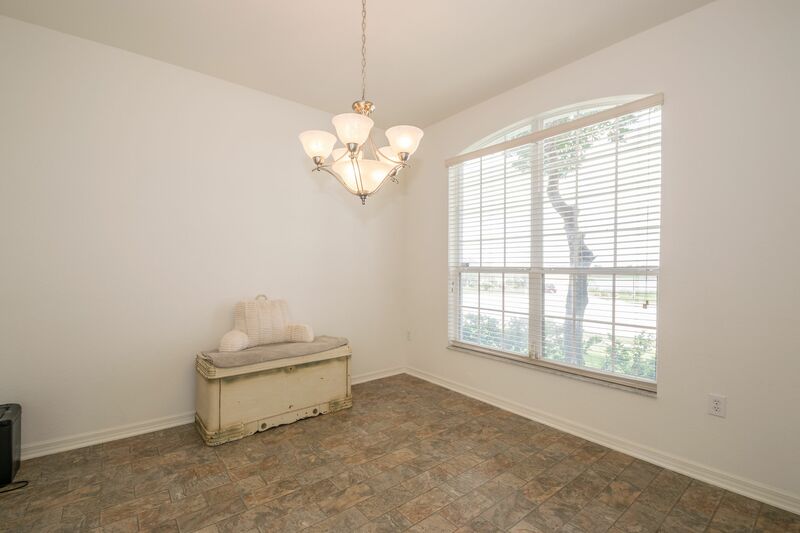 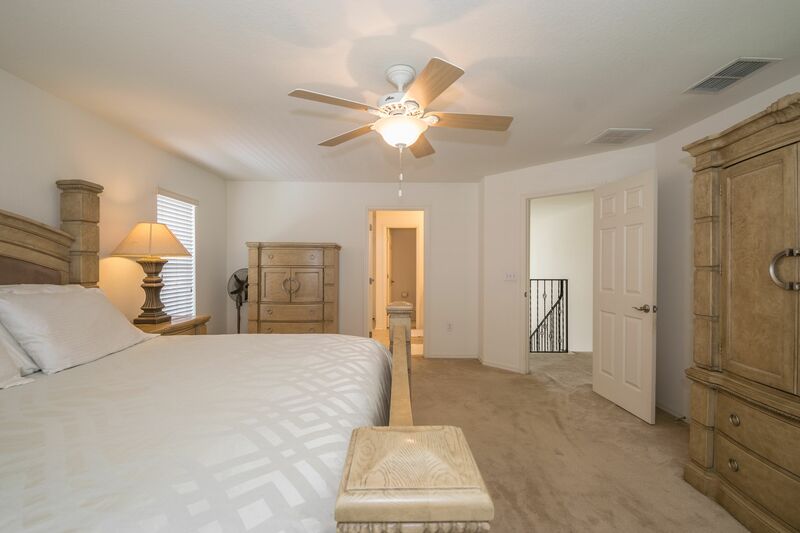 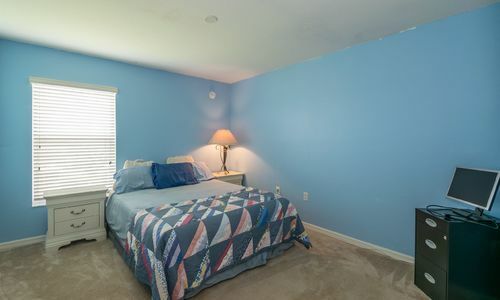 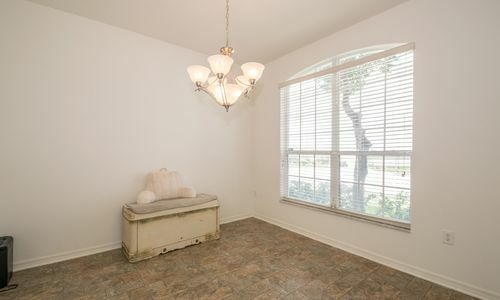 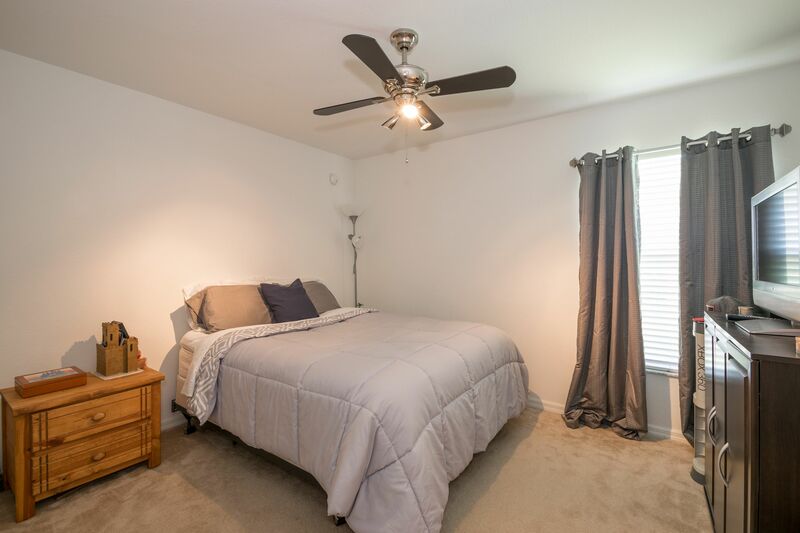 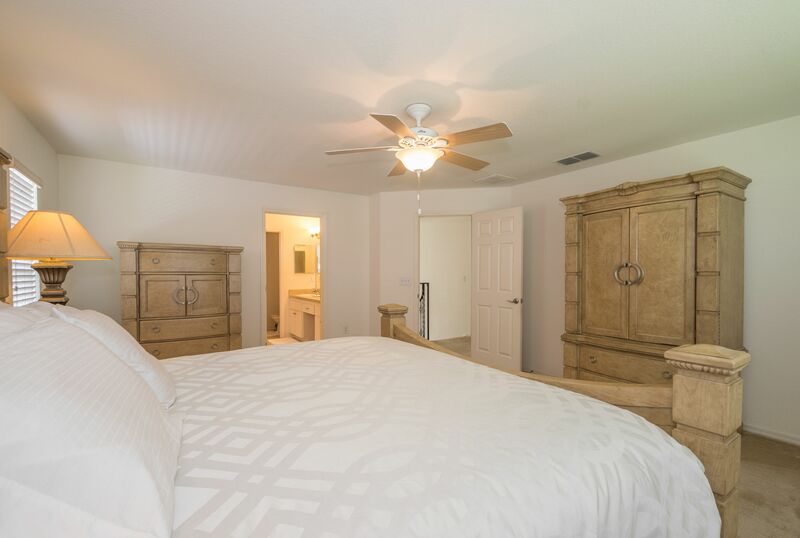 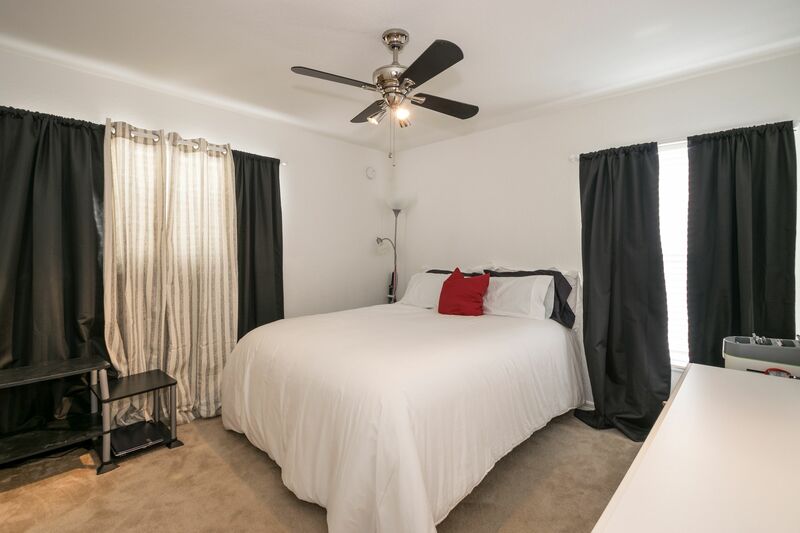 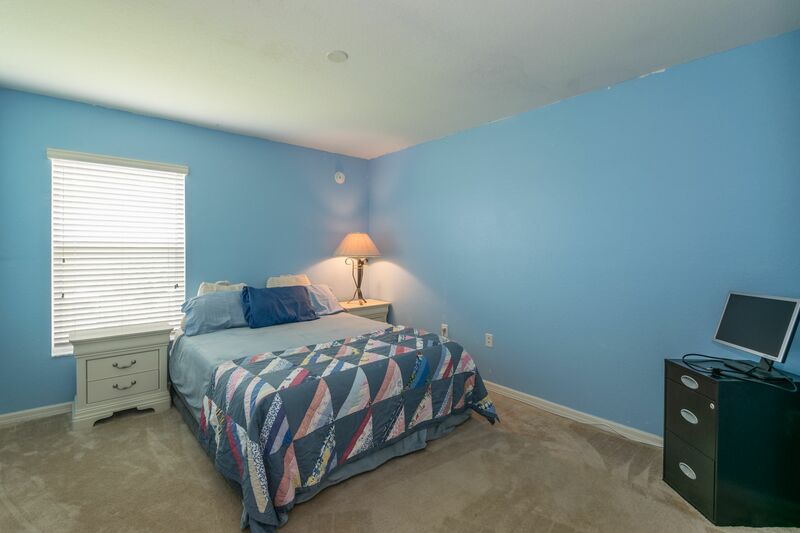 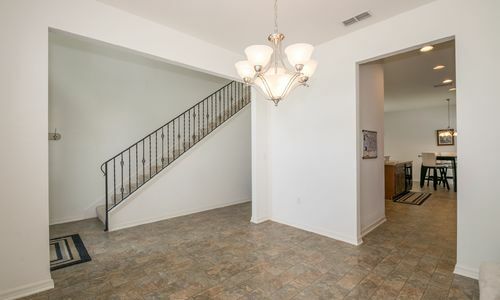 Three other guest bedrooms are located upstairs all of which have Hunter ceiling fans, ample closet space and access to the full guest bathroom. 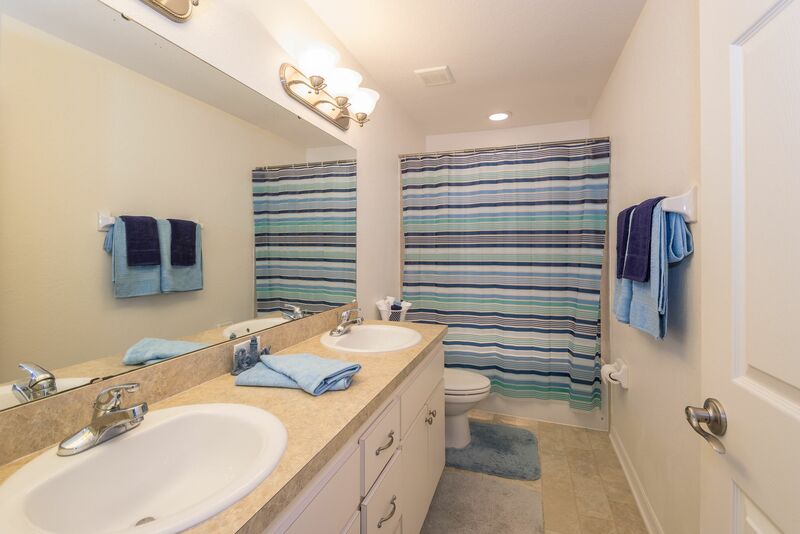 Inside laundry room is also located upstairs for functionality and ease of use. 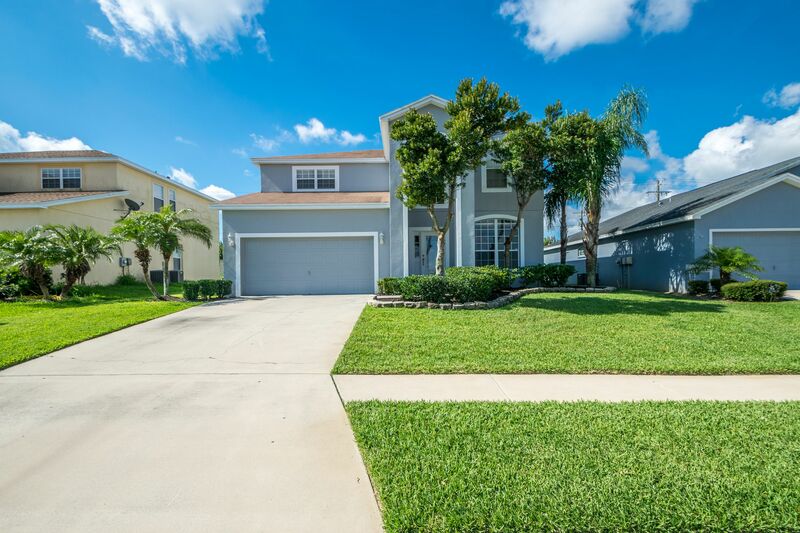 Mandolin is a desirable gated community in the heart of SE Winter Haven and within an A rated elementary school zone. 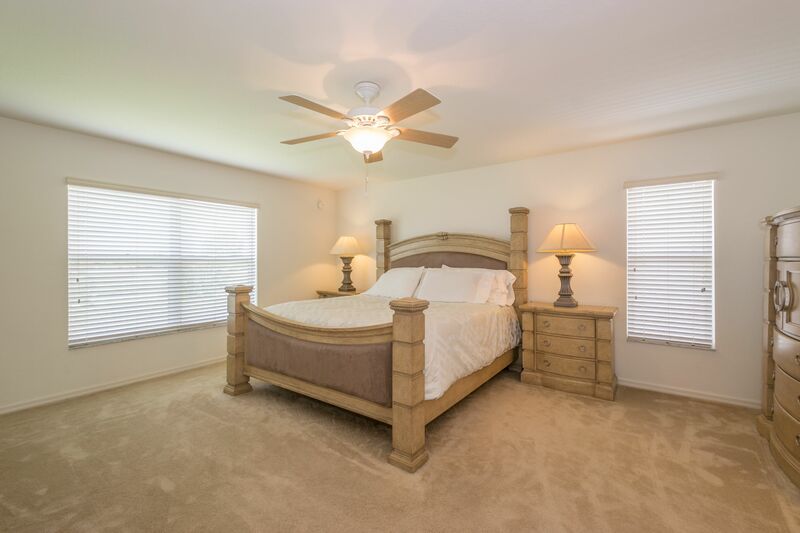 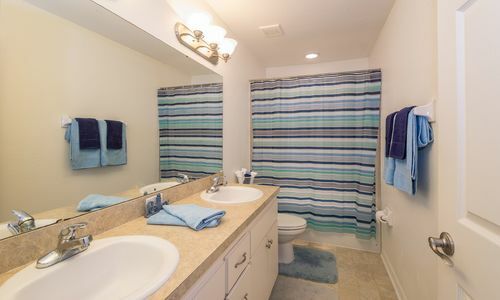 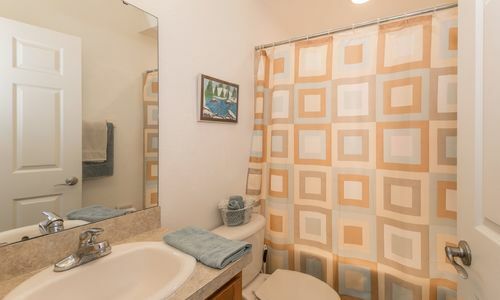 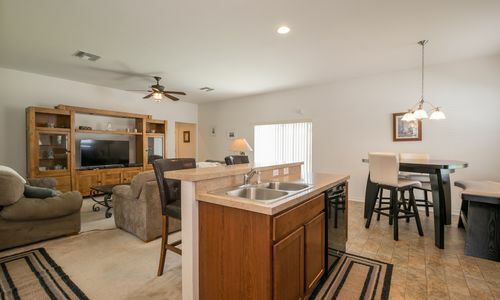 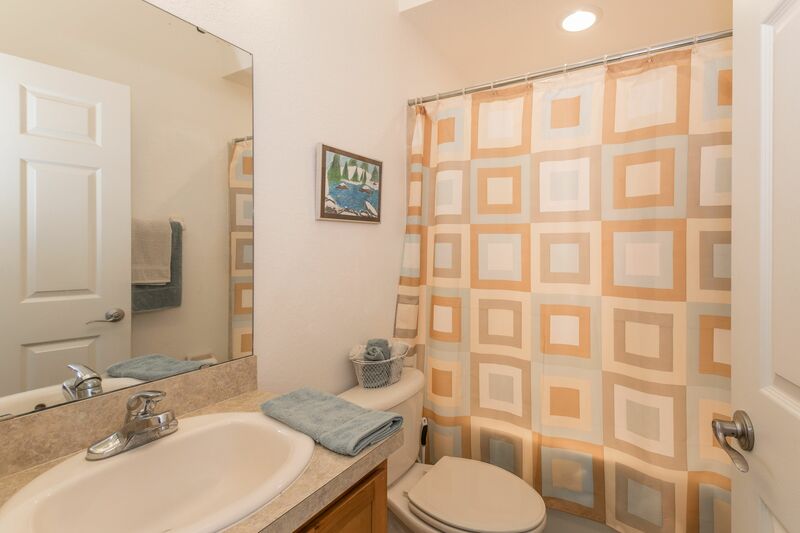 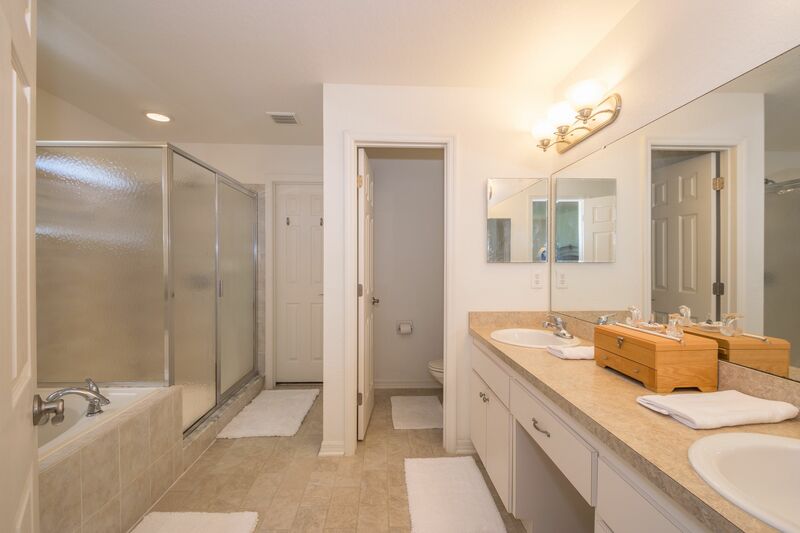 Close to shopping, dining, medical facilities and only 5 minutes to Legoland Florida. 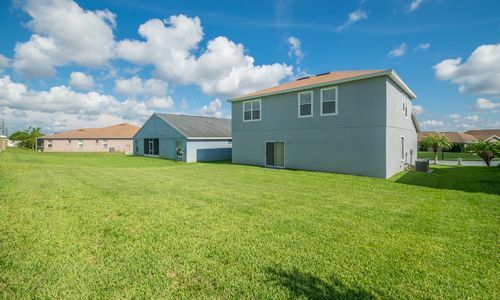 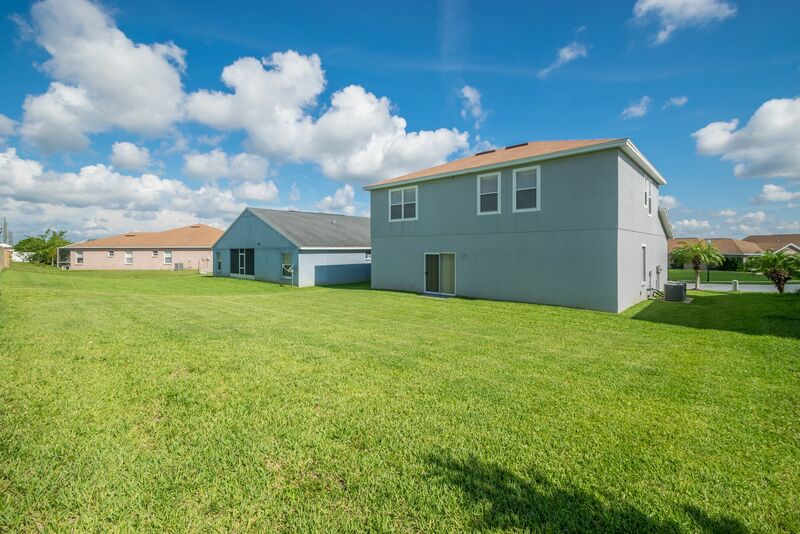 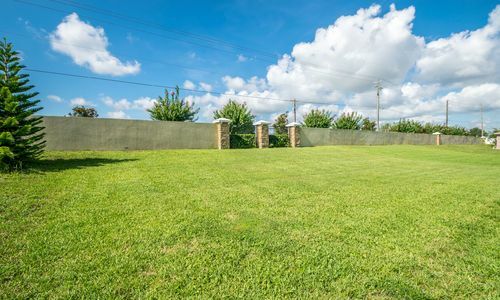 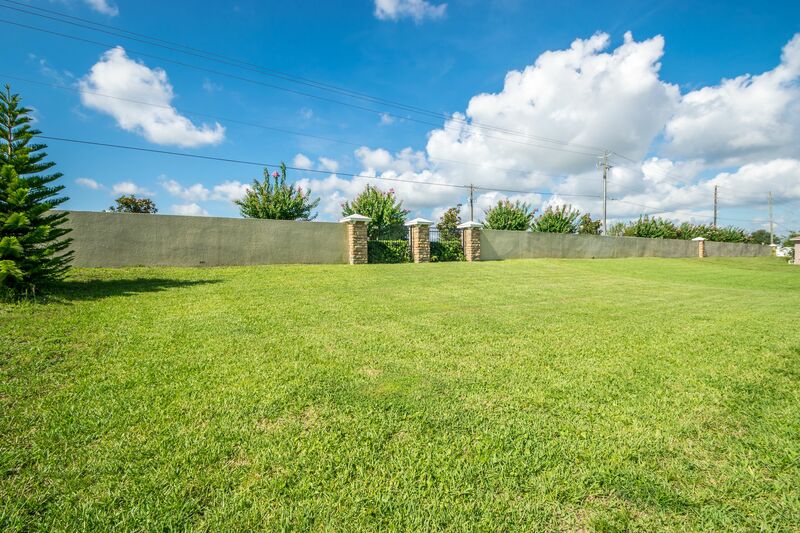 Other features of this property include a big backyard, lush lawn with irrigation system, two car garage, cul-de-sac and more!